X The leaves on its head are very bitter. Eating one of these leaves is known to refresh a tired body. X Die Blätter auf seinem Kopf schmecken furchtbar bitter, doch sie helfen ausgezeichnet gegen Erschöpfung. X Les feuilles sur sa tête sont très amères, mais elles remettent d’aplomb les corps les plus éreintés. X Mordisquear las hojas de su cabeza permite recuperar toda la vitalidad, a pesar de que están muy amargas. X Le foglie che ha sul capo sono molto amare ma, se masticate, hanno l’effetto di rinvigorire il corpo stanco. X 머리의 잎사귀를 갉아먹으면 매우 쓰지만 지친 몸을 회복시켜주는 효과가 있다. Y Since they prefer moist, nutrient-rich soil, the areas where Petilil live are known to be good for growing plants. Y Da es nährstoffreiche Erde bevorzugt, kann man in Gebieten, in denen es lebt, für gewöhnlich reiche Ernten erwarten. Y Il aime les zones bien irriguées et riches en nutriments. On sait que là où il vit, les cultures sont florissantes. Y Habita tierras húmedas ricas en nutrientes donde la cosecha es abundante. Y Dato che predilige i terreni ricchi di acqua e nutrimento, nelle zone in cui vive Petilil i raccolti sono rigogliosi. Y 치릴리는 수분과 영양이 풍부한 땅을 좋아하기 때문에 치릴리가 사는 토지는 작물이 잘 자란다. 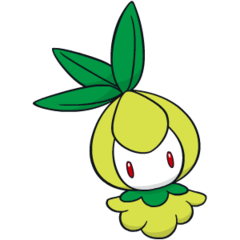 Omega Ruby Since they prefer moist, nutrient-rich soil, the areas where Petilil live are known to be good for growing plants. Omega Ruby Da es nährstoffreiche Erde bevorzugt, kann man in Gebieten, in denen es lebt, für gewöhnlich reiche Ernten erwarten. Omega Ruby Il aime les zones bien irriguées et riches en nutriments. On sait que là où il vit, les cultures sont florissantes. Omega Ruby Habita tierras húmedas ricas en nutrientes donde la cosecha es abundante. Omega Ruby Dato che predilige i terreni ricchi di acqua e nutrimento, nelle zone in cui vive Petilil i raccolti sono rigogliosi. Omega Ruby 치릴리는 수분과 영양이 풍부한 땅을 좋아하기 때문에 치릴리가 사는 토지는 작물이 잘 자란다. Alpha Sapphire The leaves on its head are very bitter. Eating one of these leaves is known to refresh a tired body. Alpha Sapphire Die Blätter auf seinem Kopf schmecken furchtbar bitter, doch sie helfen ausgezeichnet gegen Erschöpfung. Alpha Sapphire Les feuilles sur sa tête sont très amères, mais elles remettent d’aplomb les corps les plus éreintés. Alpha Sapphire Mordisquear las hojas de su cabeza permite recuperar toda la vitalidad, a pesar de que están muy amargas. Alpha Sapphire Le foglie che ha sul capo sono molto amare ma, se masticate, hanno l’effetto di rinvigorire il corpo stanco. Alpha Sapphire 머리의 잎사귀를 갉아먹으면 매우 쓰지만 지친 몸을 회복시켜주는 효과가 있다. Sun Although the leaves on its head are bitter enough to cause dizziness, they provide relief from weariness—even more so when boiled. 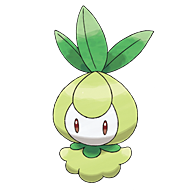 Moon By pruning the leaves on its head with regularity, this Pokémon can be grown into a fine plump shape. White Since they prefer moist, nutrient-rich soil, the areas where Petilil live are known to be good for growing plants. White 2 The leaves on its head grow right back even if they fall out. These bitter leaves refresh those who eat them.